Laurel Lakey, Lic. P.T. Asst. 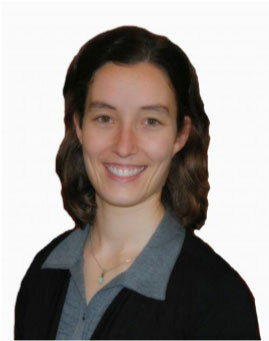 Laurel Lakey is a Licensed Physical Therapy Assistant at Dee Physical Therapy where she focuses on post-operative rehabilitation, balance and gait training, overuse injury and chronic pain treatment. She also teaches a Parkinson’s Exercise and Dance class where she utilizes her BFA in Dance from the University of Utah and her background as a dance instructor/choreographer. She is a regular contributing writer for the “Health Matters” section of the Charlotte News. After receiving her BFA in Dance, Laurel spent five years living in Seattle, Washington where she worked as a dance instructor, choreographer and performer. Studying dance exposed her to the body’s potential for both injury and healing, propelling her to pursue a deeper knowledge and understanding of human anatomy. In 2009 she completed a 200 hour yoga teacher training certification and went on to teach group and private lessons in the Seattle area before returning to New England and beginning PTA school in 2012. Laurel earned her Associates Degree as a Physical Therapist Assistant (PTA) from River Valley Community College in 2014, and has been working at Dee Physical Therapy in Shelburne, Vermont since 2015. Born and raised in Bethlehem, New Hampshire with a ten year interlude on the west coast, Laurel is happily settled in Charlotte, Vermont where she presently lives with her husband, dog and three chickens.